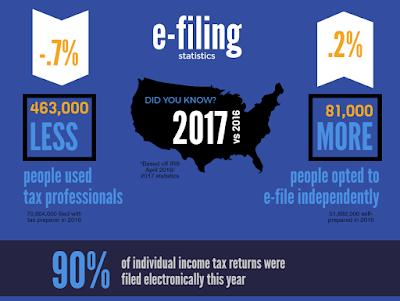 IRS reports that over 90% of individual income tax returns were filed electronically this year! Not only are you supporting the fight in saving trees, but there are many more benefits to electronic filing compared to paper filing. The cost of paper filing may be cheaper by certain standards, but the refunds take longer to be delivered and processed. 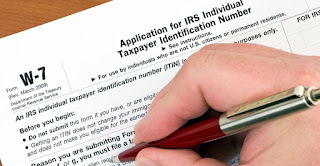 There is also a risk of error when clerks manually transfer paper data at the IRS Service Center; therefore, it requires more diligence from filers in verifying accuracy and legibility of their information to avoid delay or rejection by IRS. 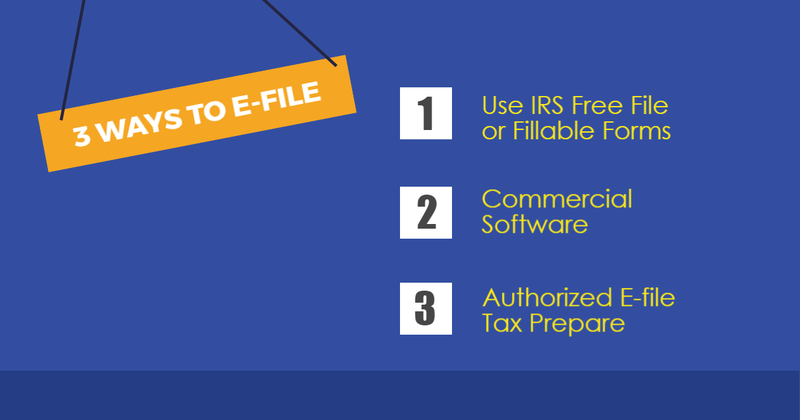 Electronic filing may require a tax preparer or tax software to submit to IRS, but it is processed faster, more secure and convenient than paper filing. And the benefits of filing your taxes online using tax preparation software is the chance to take advantage of more tax credit and deductions that you would not be alerted to otherwise. All around, the advantages of e-filing permits tax filers to better organize their records, earn bigger refunds, submit with greater accuracy, file and receive returns faster. 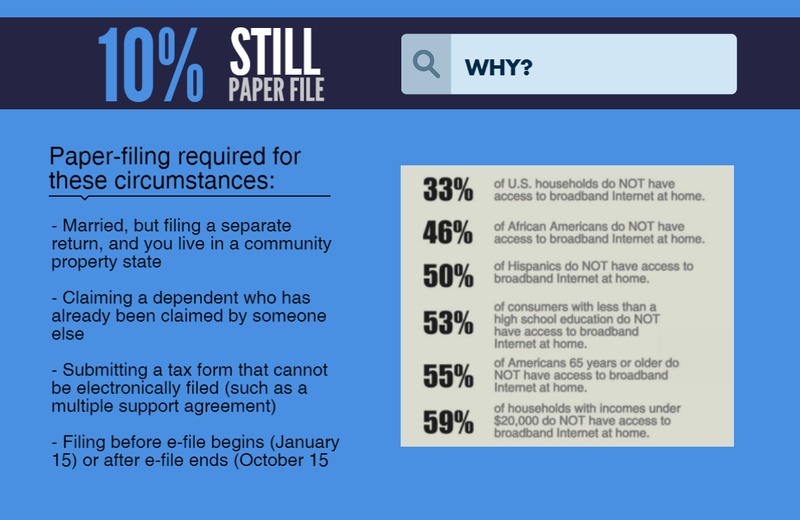 It is hard to imagine that anyone would opt to paper file; however, e-filing is not for everyone. About 33% of households do not have access to the internet at home, so paper filing is the only option. Another reason may be if filing when electronic filing is not accessible online (before January 1 and after October 15). 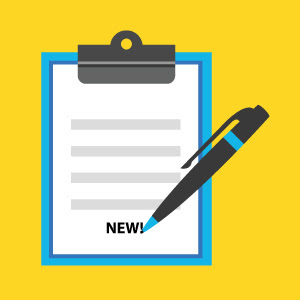 CLICK HERE to read more on when paper filing is the a better option.